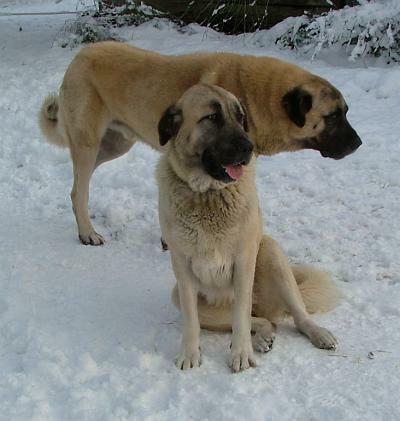 Sokar (standing male) and Varlik (sitting female) in snow. 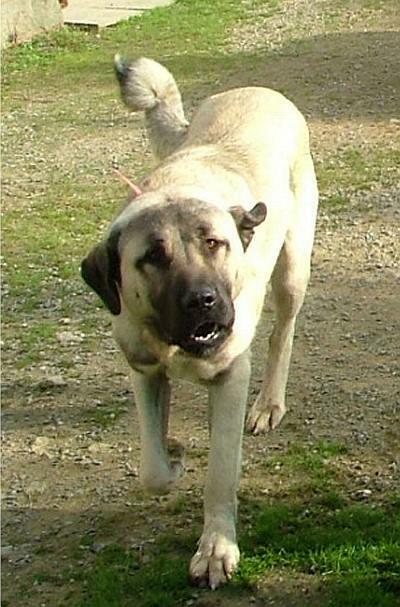 These beautiful Anatolian Shepherd Dogs are owned by Sophie Licari in France. Here is her young male, Coban. those are good looking dogs! very handsome dogs...I have never heard of this breed.